Madison is on her way to a job interview when the CEO of the company, Jared, mistakes her for his hired date. Desperately needing a paid job, she goes with him anyway and accompanies him to a family diner. Madison wants to get back at Jared because he mislead her and tricked her into playing his girlfriend. She tells his family that they're engaged. What Madison doesn't realize when she says this, is that Jared's aunt who is very ill, wants nothing more than to be at their wedding. How will they get out of this lie? Madison and Jared have to spend a lot of time together, since they have to plan their fake-wedding. It turns out that they feel more for each other than they care to admit. Both of them have no idea that Jared's family already know about their pretend-marriage and are trying to create opportunities for Madison and Jared to have some extra alone time. Madison and Jared keep challenging each other and without even realizing, they grow closer every day. Will Jared's family succeed in opening Madison and Jared's eyes before it's too late? Madison is an actress, but hasn't been casted for any major movies yet. She's looking for a new job, so she can pick up going after her dream again. She's incredibly sweet and caring. Madison can be a spitfire when she's angry and I loved this about her. Jared lost his mother at a young age and his father didn't give him a perfect example of what happy marriages are about. Jared finds it hard to commit to a woman because of this. He feels drawn to Madison, but tries to push his feelings away. It's obvious from the beginning that they're perfect for each other. I loved their cute banter and I desperately hoped they'd be able to open up their hearts again. Accidentally Married is a sweet and lighthearted love story about two people who have been brought together by fate. My own wedding wasn't that long ago and when I was reading about the preparations for Madison and Jared's big day it brought back a lot of loving memories. I was impressed by the setting, Jared's family home sounded like a beautiful place and I could easily imagine the wedding taking place there. I love to read stories about true love and I enjoyed Accidentally Married so much that I read it in one sitting. 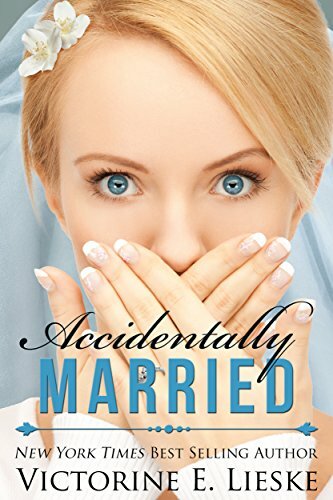 If you love to read sweet and romantic love stories about true love, Accidentally Married would be a perfect choice. Accidentally Married by Victorine E. Lieske is free on Amazon. This sounds like a great book. I will have to check it out. I one clicked this book. Sounds like a fun book that my mother would love. Oh, this sounds so sweet! Not my typical kind of book but I have to check this one out! Whoops! Madison should learn to think before she speaks, but then she wouldn't be Madison, would she! Just like a romantic movie script. Thanks for the freebie! This sounds like such a cute read, I love fake relationships! I love the cover! She portrays hiding many secrets that I want to know! I love these kinds of stories so I've put it on my wish list. It does sound like a fun read. I have this book in my reading list! I can't wait to get time to read it!